Looking east on East 126th Street. 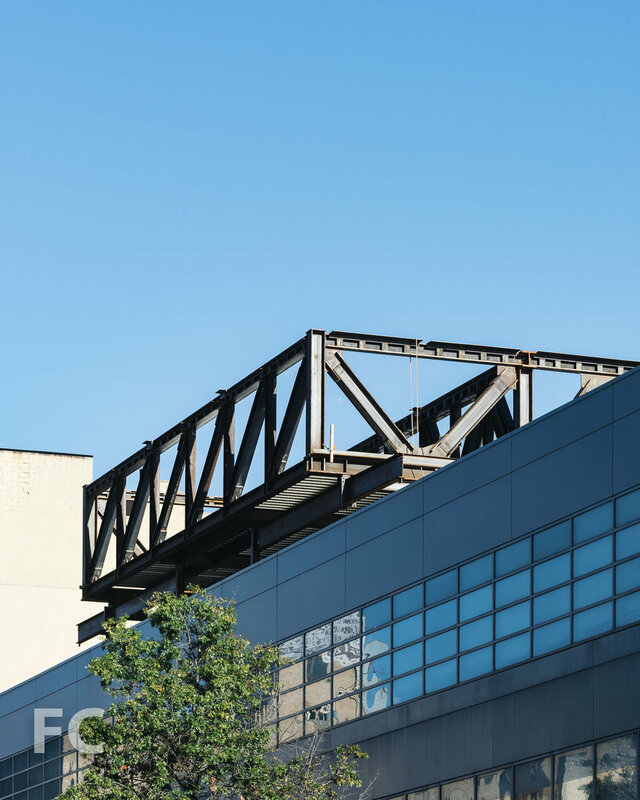 Superstructure is nearly topped out at Blumenfeld Development Group's 11-story rental building at East 126th Street in East Harlem. Bjarke Ingels Group (BIG) is in charge of the design, which features a 11-story volume fronting East 126th Street and a six-story volume that extends over the center of BDG's existing retail building on the adjacent lot fronting East 125th Street. While the north half nears its full height, the cantilevering south volume has only reached the second floor. 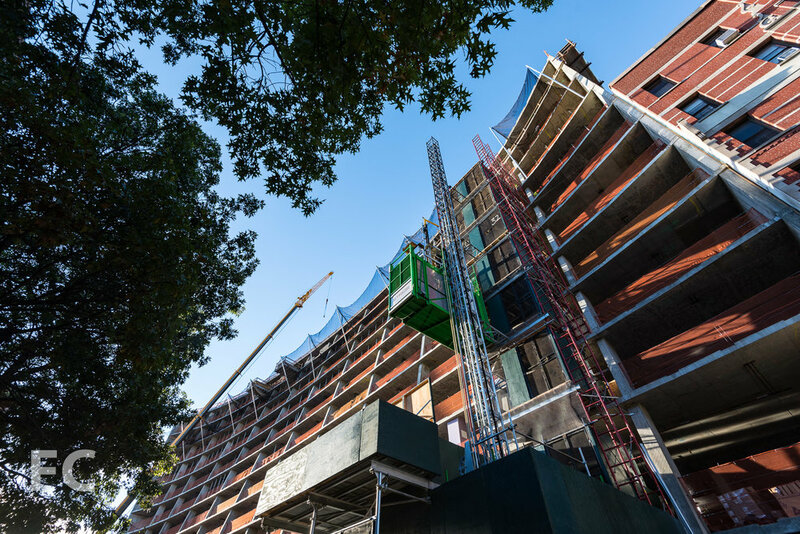 The concave shape of the north façade fronting East 126th Street will be clad in slender windows and blackened stainless steel panels that will reflect the sunlight. Once completed, the rental building will offer 233 apartments in a mix of studios, one-, and two-bedrooms, with twenty percent of the units offered under the affordable housing program. South facade from East 125th Street. Architect: Bjarke Ingels Group (BIG); Developer: Blumenfeld Development Group (BDG); Program: Residential, Retail; Location: East Harlem, New York, NY; Completion: 2018.